Hi, I'm thinking of getting a Voltera for FPGA board proof of concepts and was wondering how finely it can print BGA pads for BGA packages. 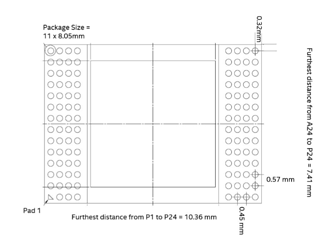 The Xilinx FT(G)256 Fine-Pitch Thin BGA Package Specifications are on page 337 of this Document and broadly the solder balls of the BGA are 1.00 mm apart centre to centre, with the ball size minimum/nominal/maximum dimensions being 0.4/0.5/0.6 mm respectively. This means at worst case Voltera would need to draw a grid of 16 times 16 pads, with their centers 1.00 mm apart, with each one no wider than 0.60 mm, and that would broadly (at the worst case) leave just 0.20 mm from the edge of each pad to the edge of the next one. Is Voltera capable of drawing a grid of 16 times 16, where each pad is 1mm apart (centre to centre), with each pad circa 0.5mm but at worst case 0.6mm? This would, at worst case, leave 0.2mm between pads. I won't be using all of the pins, btw, as I'd only be drawing double-sided instead of four layers, but I do need to know that where I have adjacent pins, that Voltera can handle the accuracy. Does anyone have any experience that illuminates some light on this? Hey @Xamtastic, welcome to the forums! Having a look at the package specifications, the package is within the spec for the V-One. Just to clarify, I believe in the worst case you'd have clearance of 0.4mm, which is plenty of room. 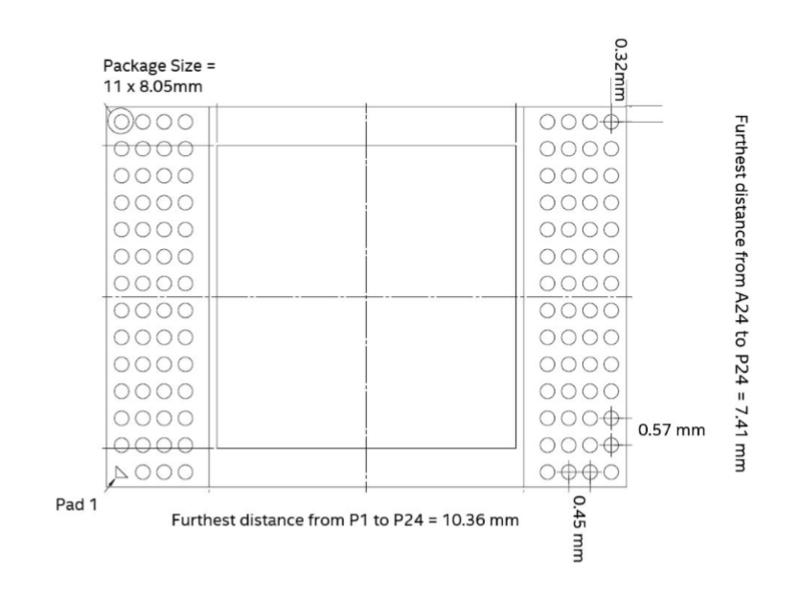 Just to make sure, I printed off a generic footprint for a FG256 BGA component, 1mm pitch (see below). Turned out well! If you happen to try this out, feel free to post in the 'Show and Tell' channel - I would be very interested in hearing about your experience. that's splendid news, I'm on the May 2017 pre-order list so it's still three months before I do this, but with this news I can start designing this particular layout, thanks! Thanks also for your beyond-the-call-of-duty approach, actually doing a print was a stroke of genius, thanks! 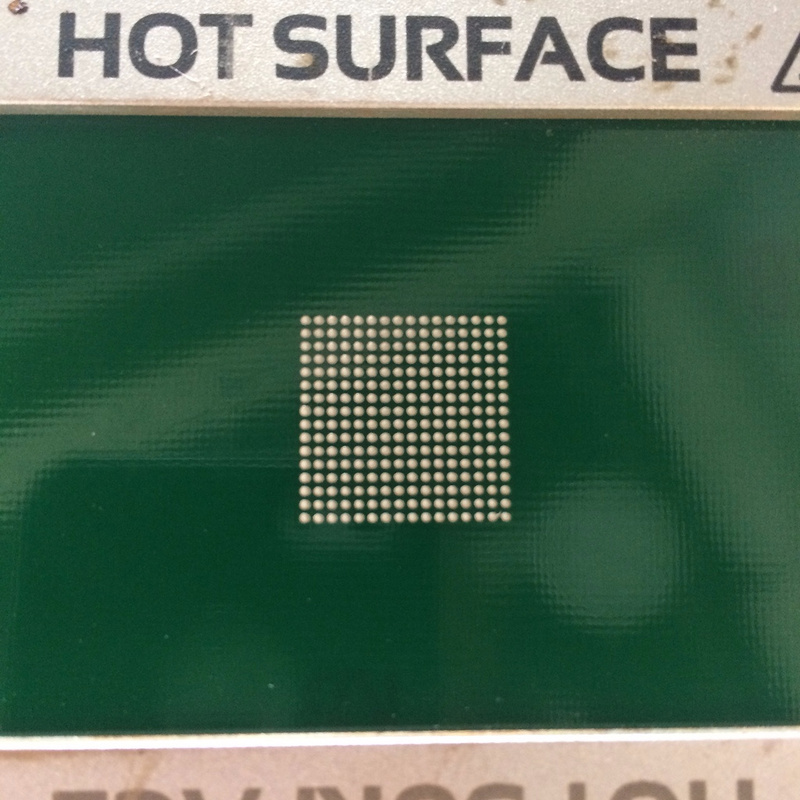 I've considered BGA design for some Intel components but I haven't tried yet, due to unanswered questions about how to get traces to the inner ball pins. 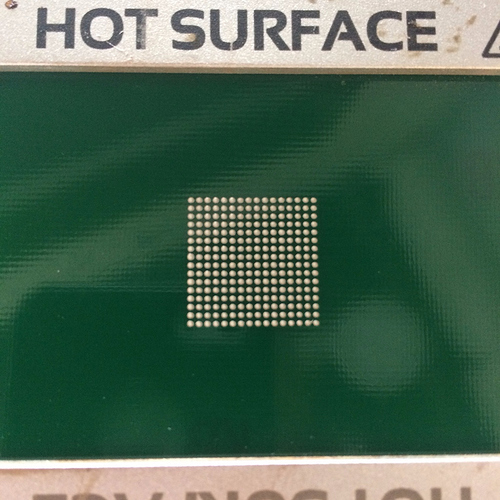 I assume that with BGA111 or BGA144 there need to be more than two layers since Voltera's minimum trace width is 8 mil? Matt's experiment is great, but how can I connect those balls to circuit traces going to other components on the PCB? I have no idea how to design with BGA, has anybody done this reliably with the Voltera printer? I'm still trying to use the Voltera One to print BGA111 (112 pins minus one) like found on the Intel Curie SoC Datasheet. As shown on datasheet page 58, it's ball contacts are lined up in four rows on two sides of the board, for a total of eight rows of ball contacts. I suspect that it's possible to solder the middle row balls directly on top of vias to avoid traces in between balls, but even the outer row balls are spaced at .57 mm which is less than Voltera's specified .8mm pin-to-pin pitch for conductive ink. What are the chances I can print breakout traces of this footprint with .57 mm spaced balls? Can I do it with different nozzles? If I need to give up, then I can still have the boards printed remotely and use the Voltera One to print solder paste I guess (specified at .5 mm minimum pin-to-pin pitch.) Does this workflow theory seem valid? For printing at finer pitches, you could give it a shot with the 150um nozzles on the store. For tips on using these for achieving fine-pitch printing, see the post in this thread. If you had a method of drilling through reliably with a 0.3mm drill bit, then you could connect the layers, but without CNC equipment it sounds like it'd be tough - that being said, prototyping with BGA components is almost always going to be tough in some way. If you decide you'd rather have the boards fabbed and use the V-One for paste, that workflow should work well for you - with the caveat that you'll need to be very careful when placing the component to ensure the pins reflow properly. I've mostly given up on this level of precision for now, but will probably revisit it in the future after I've advanced enough and have access to better tools like a CNC drill and cheaper BGA components. Thanks @mewertow for the advice.